Some colleagues and I recently stopped by a storage unit in Downtown for an inventory check, and needed to pick up some grub on the way there. We ended up going to RiceBar, a Filipino rice bowl place that I'd been wanting to try for a while now. The restaurant comes to us from Charles Olalia, whom we last saw over at Patina back in '12. To recap, the Chef actually ended up moving over to mar'sel at Terranea in October 2014, filling a void left by the departure of Michael Fiorelli and Rebecca Merhej. In April 2015, he decamped and started his own Filipino pop-up entitled A'postrophe, and in June, it was announced that he was partnering with Santos Uy on RiceBar (note that Santos has since been bought out). The casual spot opened at the end of that month, taking over the former address of Cafe Theatre and Shawarma Factory Place. 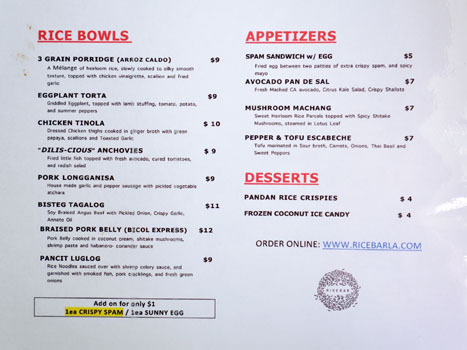 RiceBar's opening menu allowed diners to mix and match their proteins and rice, but things have since been streamlined with a number of preset selections. 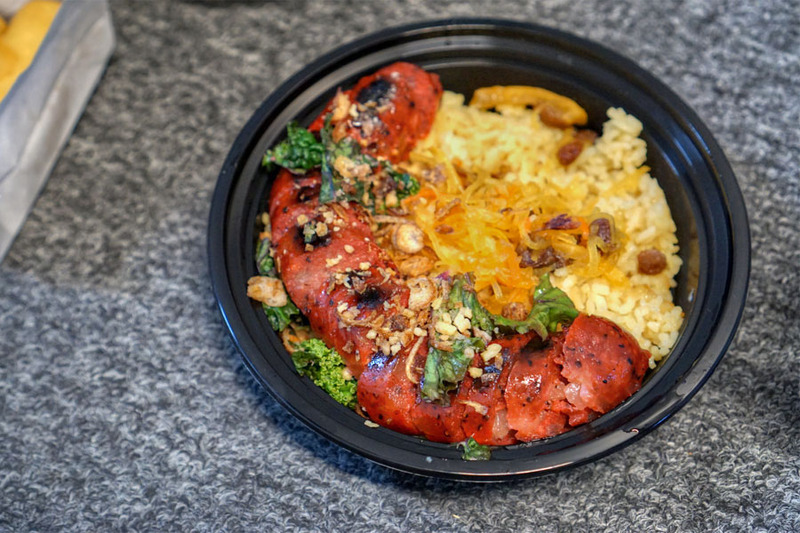 You can also order online, though do note that the online menu's slightly different than what's pictured above. Click for a larger version. Good Morning Fried Rice [$11.00] | Garlic Scented Rice with Scrambled Egg, Bok Choy, Spam and Longganisa. We began with arguably the coziest of the bowls. 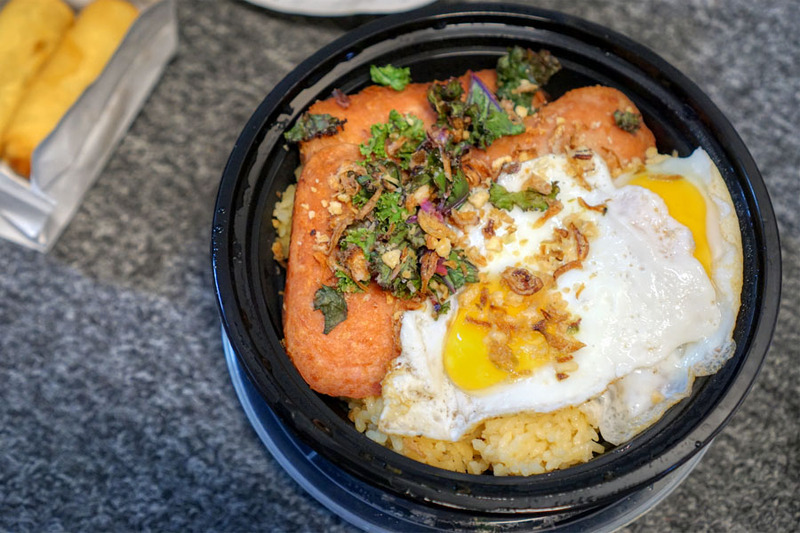 I was a big fan of the Spam and how aggressively flavorful it was, while the egg sort of provided an encompassing richness to the dish. Nice garlickiness on the rice, too--very, very gratifying. I had a few beers on me of course. 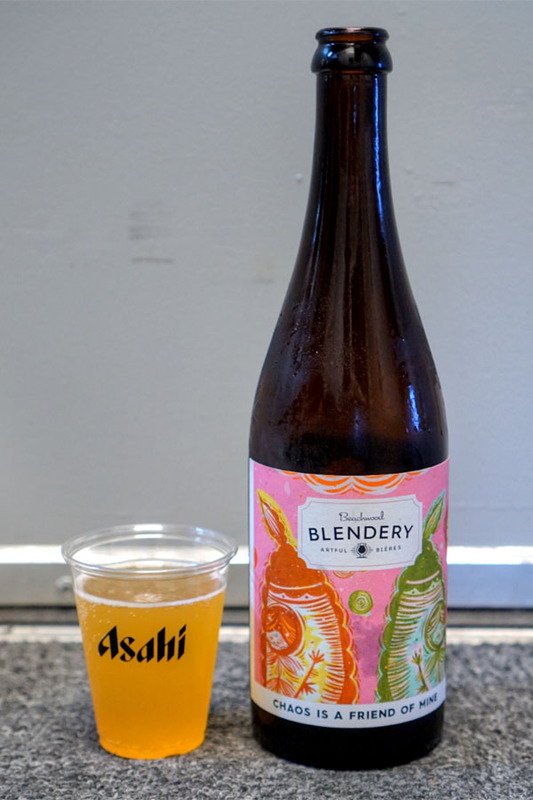 First to drink was the 2016 Beachwood Blendery Chaos Is a Friend of Mine, a lambic-inspired beer comprised of a blend of nine- to 16-month-old French oak-aged sour ales. Nose was of tart stone fruit commingled with a palpable funk. The palate was surprisingly viscous, and conveyed more of that sweet-n-sour fruit along with oaky and barnyard nuances and a touch of hoppiness. Nice! 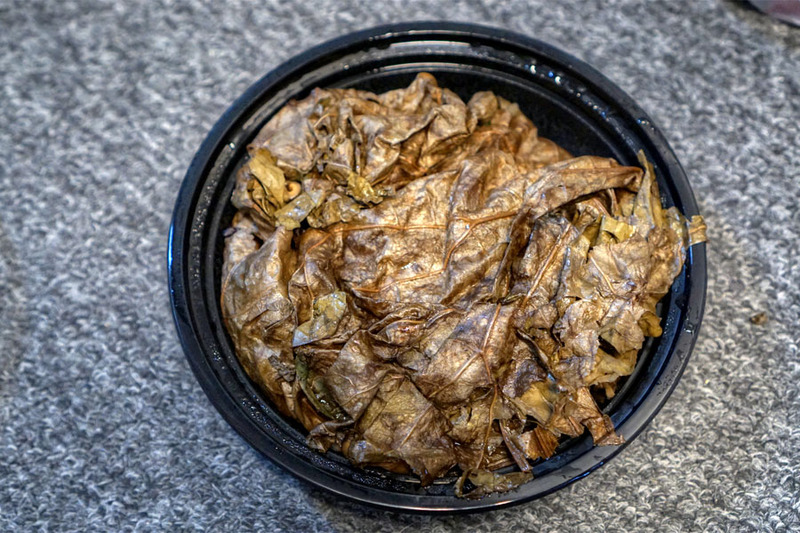 Mushroom Machang [$9.00] | Rice cake stuffed with spicy shiitake mushrooms and steamed in lotus leaf. Non-GMO Verified, vegan. A Philippine zongzi had a definite sweet-savory thing going on that worked, and I especially appreciated the blast of umami from the shiitakes. 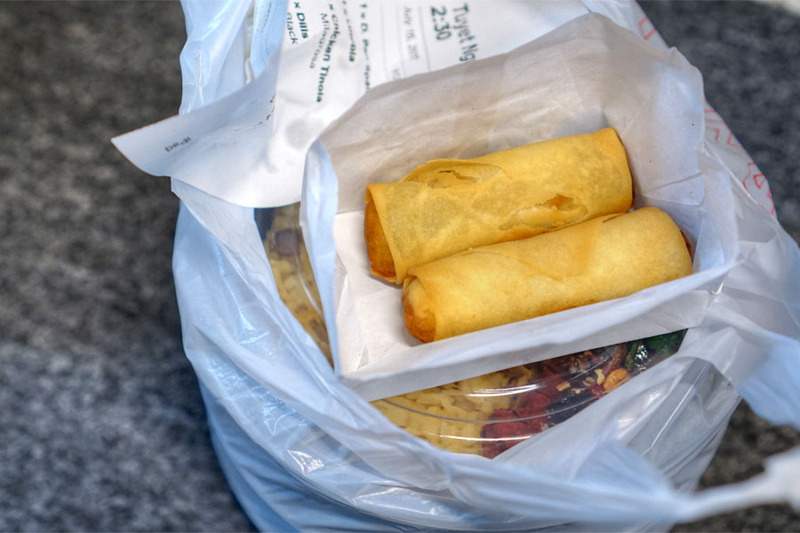 Spring rolls showed off a lovely crispness as advertised, while their taste was pretty textbook. Pork Longganisa [$10.00] | House made sausage with a side of pickled vegetable atchara. Gluten-free. I quite enjoyed the housemade longganisa, a sorta-rustic preparation with just the right amount of sweetness. The pickled papaya worked, providing a brightness to go along with the heft of the sausage, and the rice definitely made sense as well. Yum. 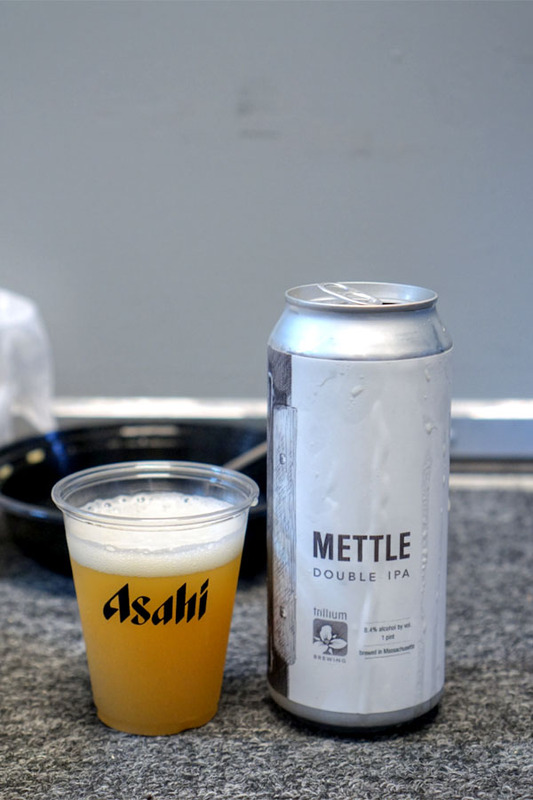 The 2017 Trillium Mettle was a double IPA dry-hopped with Amarillo and Citra. Aromas on this one were super piney at first, with a nice citric and stone fruit character coming in later. The taste showed some hoppy, grassy, slightly dank notes, with tropical fruit appearing just a smidge on the back end. Bisteg Tagalog [$12.00] | Slow braised Angus Beef cooked in soy, onions and Calamansi. Non-GMO Verified. 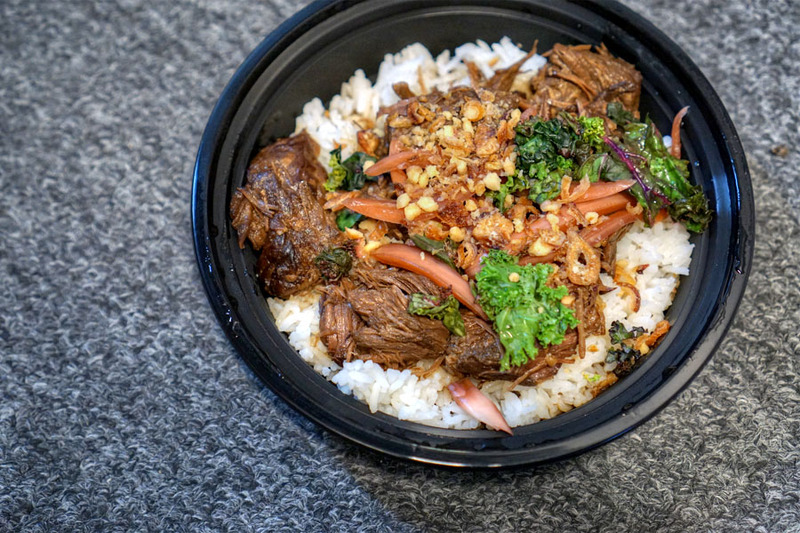 Braised beef arrived tender and brimming with dark, savory, soy-fueled flavors that definitely delivered. I loved the zestiness from the onions, and the plain rice really let the goodness of the protein shine. This seemed to be a favorite amongst the crew. 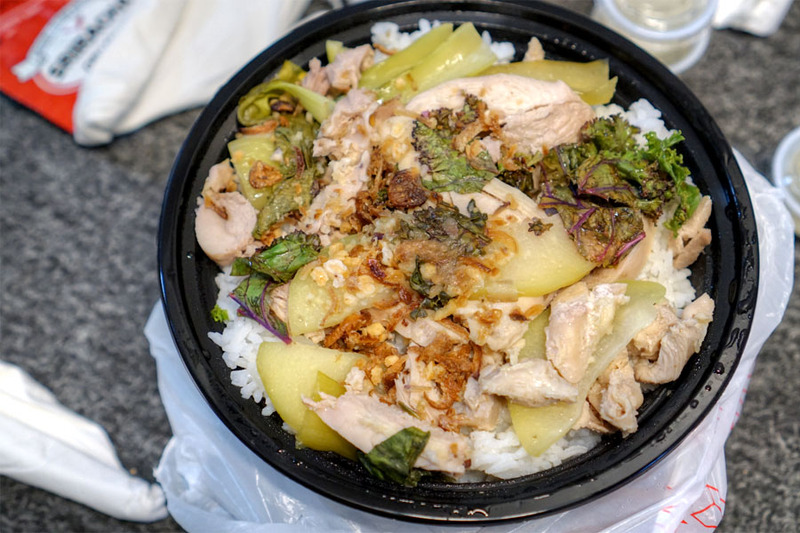 Chicken Tinola [$10.00] | Dressed Chicken thighs cooked in ginger broth with green papaya, scallions. Gluten-free. Chicken thighs were supple, satisfying, and delicately scented, and I really appreciated the textural contrast provided by the papaya. Be sure to make use of the included broth, which I found intensely aromatic. 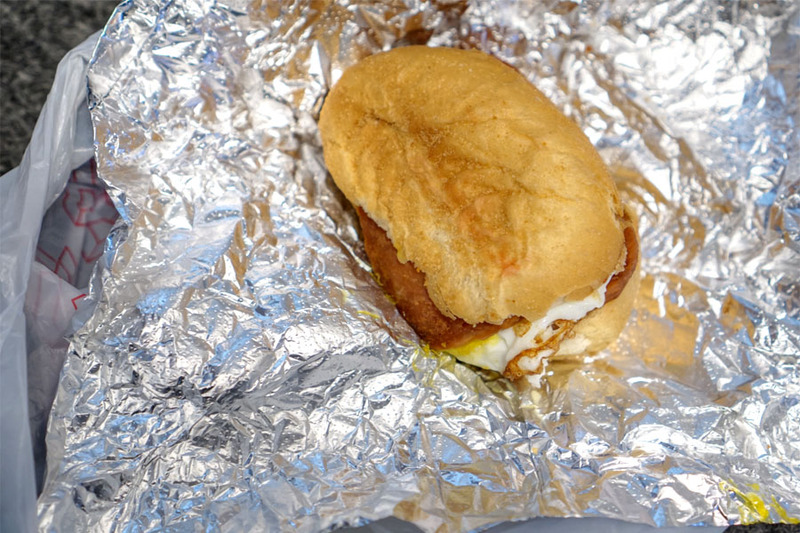 You can't go wrong with a combo of egg and Spam tucked into a pan de sal loaf. Breakfast-y for sure. 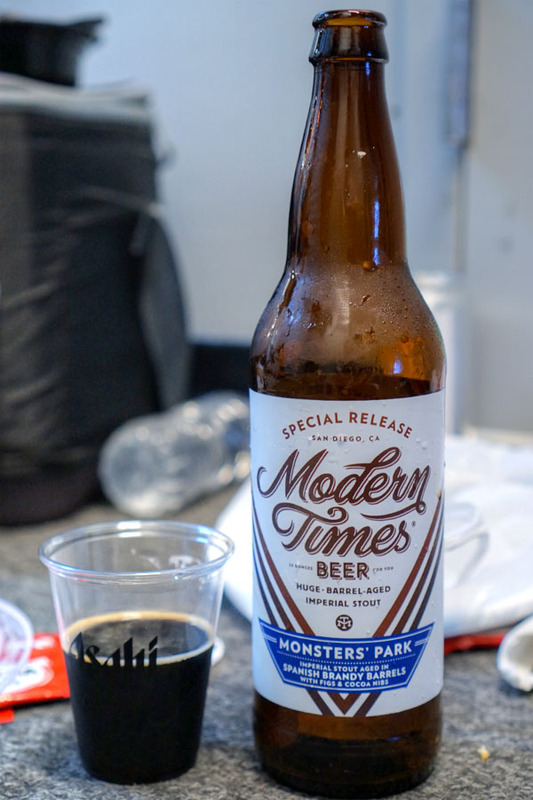 Last to drink was an imperial stout, the 2017 Modern Times Monsters' Park Aged in Spanish Brandy Barrels with Fig & Cocoa. This one smelled strongly of chocolate and malt, with plenty of dark fruit and barrel. The taste brought more chocolate, more roast, along with a very noticeable figgy sweetness on the long finish. 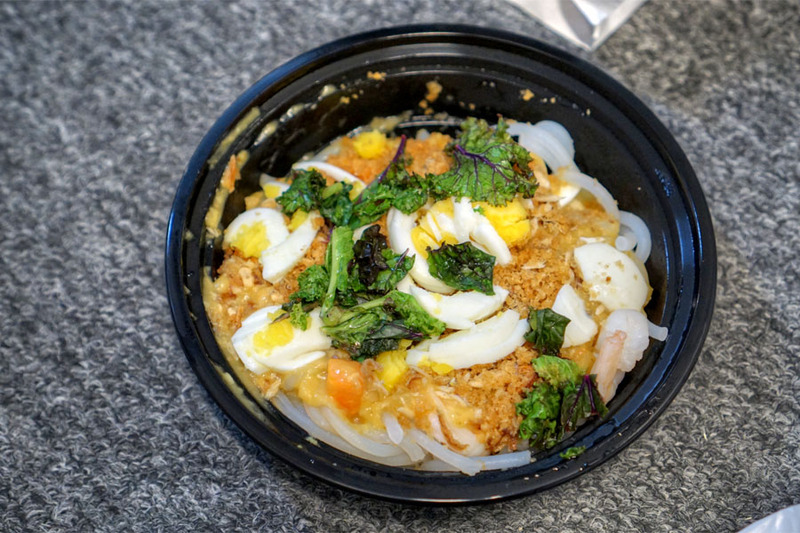 Pancit Luglog [$9.00] | Rice noodles, baby shrimp, shellfish-celery sauce, pork chicharron, tinapa, chopped egg. The pancit luglug was the sole noodle option on the menu. The noodles themselves I found soft, but with just enough snap to 'em. Taste-wise, the brininess of the shellfish-enriched broth really came through, and was further heightened by the smoked fish. It was an aggressively flavorful combination, so the egg was key as a moderating element. Crispy "Dilisious" Anchovies [$10.00] | Fried little fish topped with fresh avocado, cured tomatoes, and radish salad. Gluten-free. Non-GMO Verified. Dilis were as savory and salty and crispy as you'd want, and meshed well with the avocado, an unexpected but effective pairing for the fish. 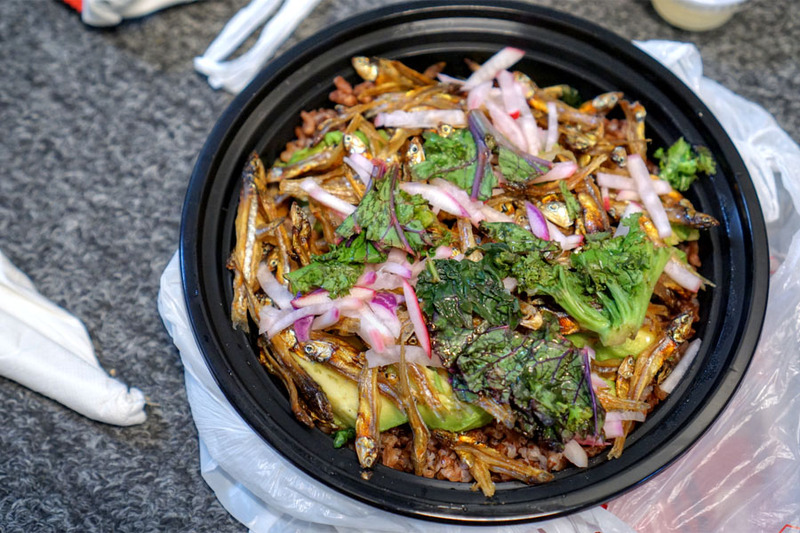 The veggies provided a further contrast, and the black rice was a good fit as well. It took me two years to visit RiceBar due to its daytime-only hours, but I'm glad I finally made it out. The food was varied and tasty, with lots of comfort and a definite "LA" sort of vibe. Given the cooking here, I'm hoping that the Chef eventually opens a more formal, sit-down, full-service dinnertime spot. We'll have to wait and see. Love this place, they changed the menu again. He's roasting 20 orders of Lechon a day now that are incredible.